Christmas is fast approaching soon and for this yearly celebration we have decided to make an event for this very special celebration. 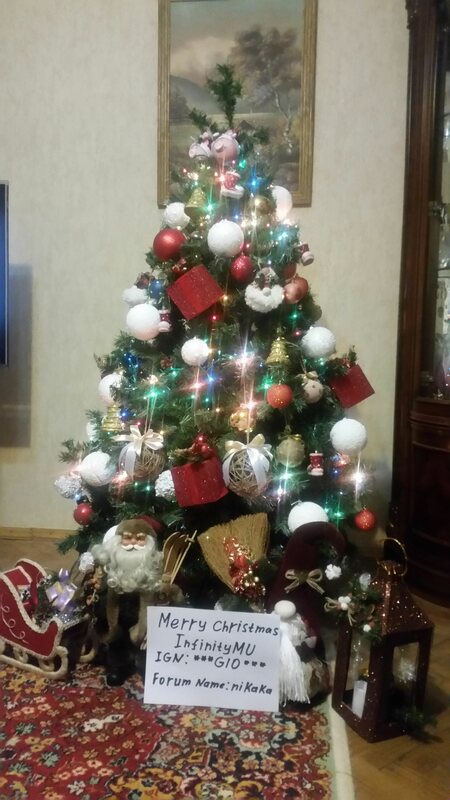 Since almost all of us all over the word celebrate this celebration and for sure every family has its own Christmas Tree in their home. 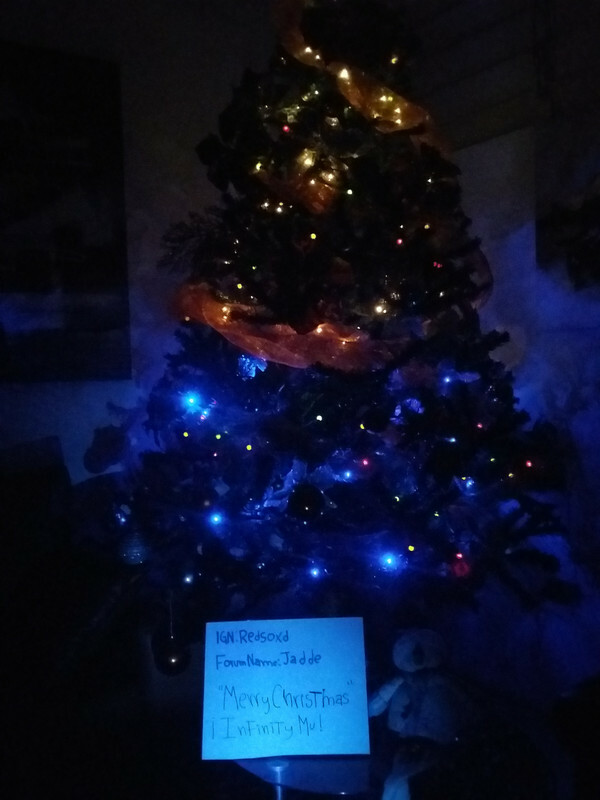 The sense of this event is to create your own or show your Christmas Tree Decoration and take a picture of with a piece of paper including it. Each forum account may only submit one entry per user. 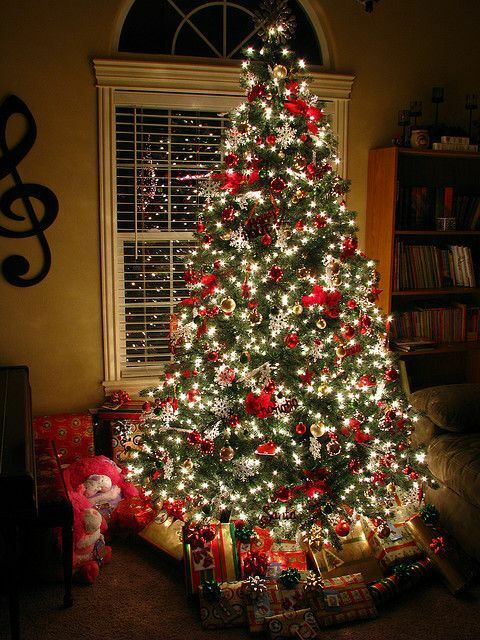 You will need to design and decorate your own Christmas Tree. You must show your in-game and forum name as well in a piece of paper together in the picture. 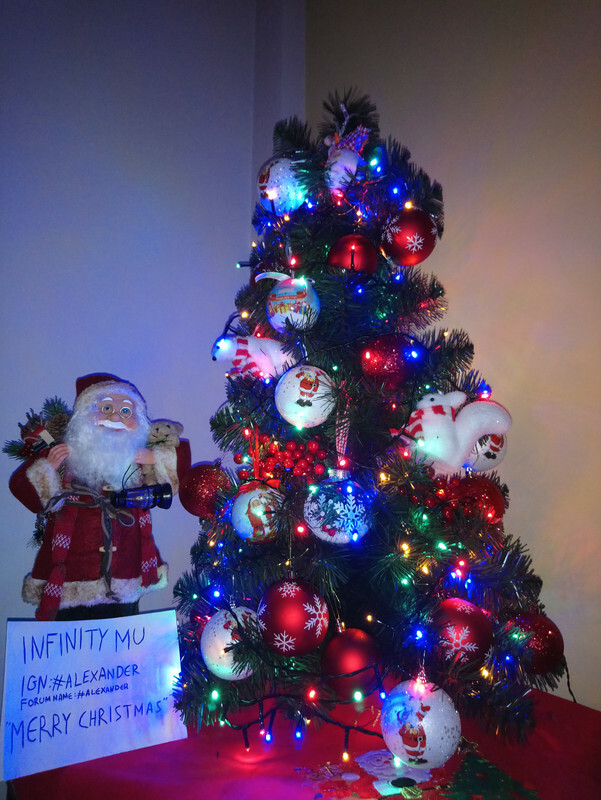 Also you must include the word "Merry Christmas InfinityMU"
Edited entries or picture is not allowed, it must be real. ♦ 2,500 gold credits each users for their efforts. ♦ Starts now :: December 6, 2018! ♦ Poll will start after! WARNING: Any form of cheating such as using multiple forum accounts is against the rules and will be automatically disqualified from the event. 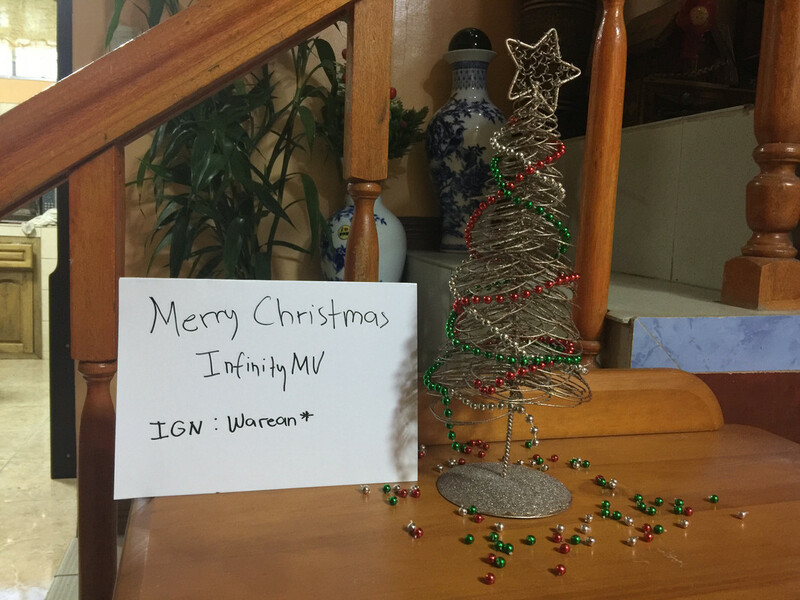 Last edited by Warean; 12-17-2018 at 12:00 AM. 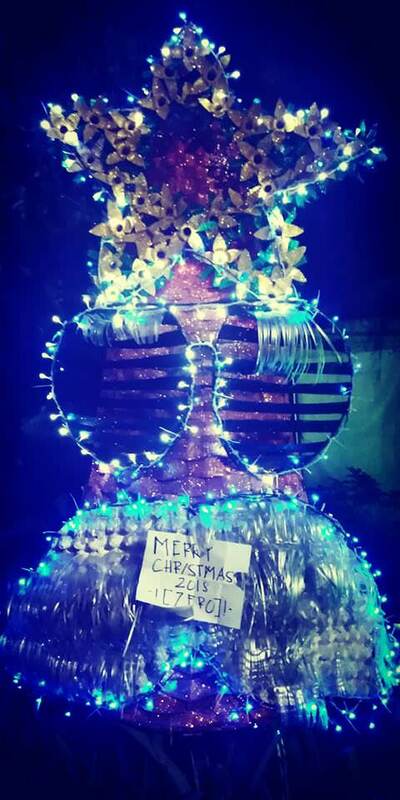 It takes 4 days to complete this Christmas Santa Tree Made up of Plastics, Pine Cones, RUGS, Recycled Wires, Recycled Flowers etc. Last edited by Chanz; 12-16-2018 at 07:04 AM. 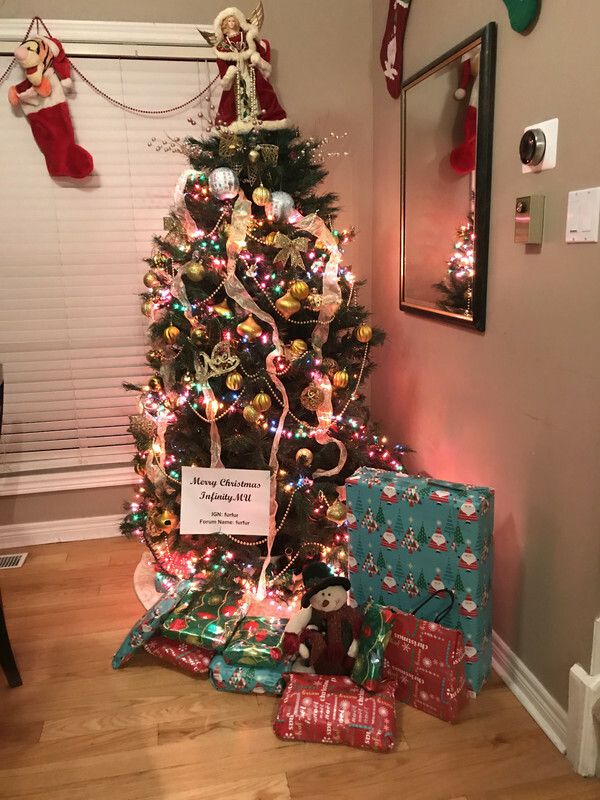 Chanz, event is only available for members who decorated their own Tree's . We will disregard this entry of yours, Thanks!